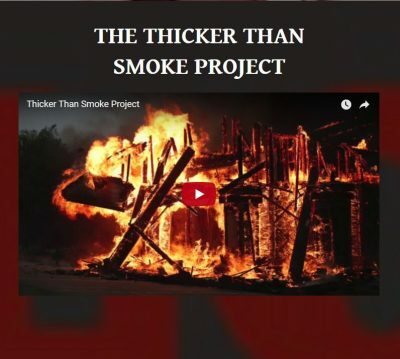 The THICKER THAN SMOKE Project was born out of the ashes of the October 2017 Sonoma County Fires. There is a strong need to heal our youth and community as part of the rebuilding process. Our goal with this project is to create original documentary theatre pieces with youth most affected by these fires with the goal to connect, create, awaken, and heal our community through the power of theatre and story telling. The fires that raged through Santa Rosa beginning on Oct. 8th have taken an unprecedented toll on our community. Roughly 340 young people have lost their homes, while others have also lost their schools. As a nomadic theatre company that goes to where the stories need to be told, The THICKER THAN SMOKE Project will partner with schools in Santa Rosa to create original documentary theatre pieces that will be performed by children who were affected by the Sonoma County wildfires. The script will be created from interviews the young cast members conduct with their families and neighbors. The plays will be performed live for the Sonoma County community, and all the interviews will be archived and available for anyone in the world to hear on the Walking Elephant Podcast.